Just beside the “old-school” Love confectionery at Alexander Village which I just recommended, there’s another one by the name of Chinatown Tai Chong Kok Confectionery. I’m a devotee after just one bite of their egg cupcake. Soft, light, and fluffy, the egg cupcakes are really very good. And 3 for one dollar is cheap okay! I can easily finish half a dozen on my own. Gosh, i’m going to get more of them the next time. 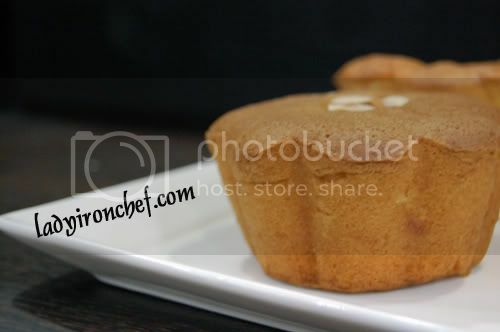 There’s also the bigger egg cup cake, which had red bean paste fillings at the bottom. But i was rather disappointed with it because there wasn’t anything special with the red bean paste, and the filling was just a little. I’ll think that three small ones are more than a big one, so take the 3 small one for a dollar instead. 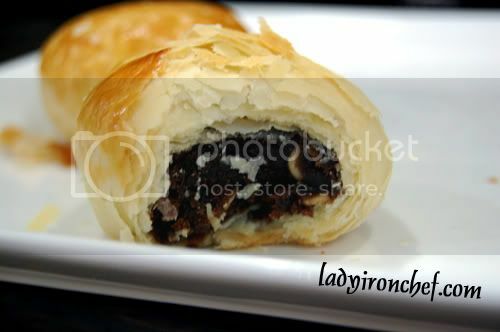 Their red bean biscuit was also worth the try, crispy pastry skin with generous fillings of the red bean paste. Initially i was unsure about the egg tart because it didn’t seem to be very nice. But boy I had to take back my words after eating it. The egg custard was those watery kind, smooth and eggy! i heard their mooncakes are pretty popular too, if i remember correctly. 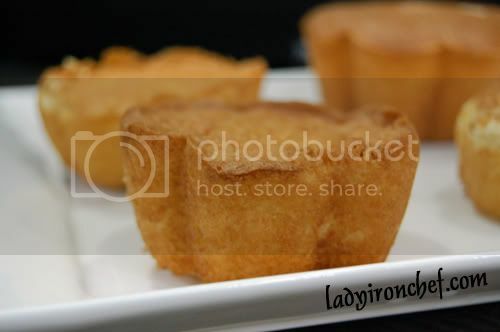 the egg tarts look good, i think i must grab some when i’m there. sidetrack abit, there’s one stall selling fish porridge/raw fish slice inside the alexandra village hawker centre which is quite famous. i queued so long for it, and its really good lah. hv u tried b4? oh as for the macro lens, currently u not using one rite? but seems like some pics u took are really well taken leh, has the macro feel…like the ones u took in obolo oso very nice! so i think w/o macro lens u can also take nice pics lah. just that i think its a pretty gd investment, since u take food pics so often. i never regret one bit, coz i totally lurrve the blur background aka. shallow depth-of-field. orite, keep more “old skool-ness” coming! hehe. evan: i didn’t try the fish porridge before, which store is it? hahaha. let’s continue looking out for old school! sihan: go get them girl! i only like the egg tarts, the rest is not appealing. james: ya the egg tart is good. how about the egg cupcakes? Hi there! 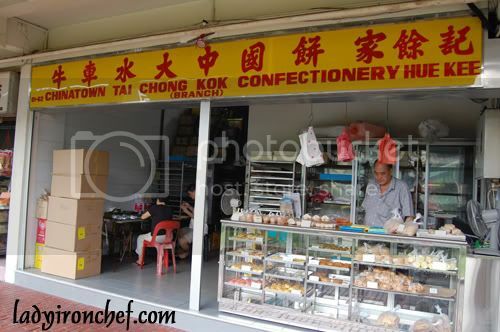 Just to inform you that the above-mentioned bakery is called Chinatown Tai Chong Kok (Hue Kee). It is not the famous Tai Chong Kok in Chinatown as the original store is called Chop Tai Chong Kok and is situated at 34 Sago Street. A check with ROC will testify that Chop Tai Chong Kok has been around since 1935. This Chinatown Tai Chong Kok (Hue Kee) is not a subsidiary, sister company or affiliate of Chop Tai Chong Kok. Thanks! 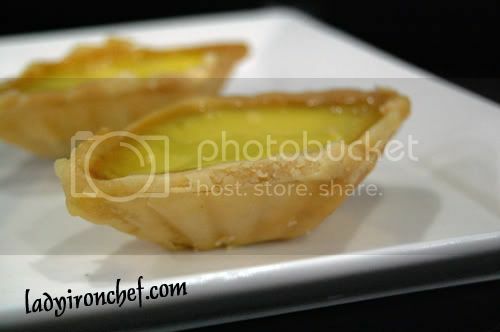 Yes,I like their diamond shape egg tarts and the “?? ?” from the Bt Merah Shop. Looking forward to the coming mooncake festival as I can buy their mouth watering snow skin mooncake. I heard from friend that they also selling moon-tarts.